﻿﻿As a board-certified family practitioner, James Y. Lee, DO, offers expert and compassionate care for patients of all ages at Woodstock Family Practice & Urgent Care in Woodstock, Georgia. Dr. Lee has over 10 years of experience as an osteopathic doctor. Osteopathy offers a holistic, patient-focused approach to medical care and takes into account how a patient’s lifestyle and environment affect their well-being. Dr. Lee earned his medical degree from Michigan State University, in East Lansing, Michigan. He went on to serve his internship at Henry Ford Hospital in Detroit and a residency in family medicine at Oakwood Hospital and Medical Center in Dearborn, Michigan. During his postgraduate training, Dr. Lee served as both chief intern and chief resident. Dr. Lee is board-certified by the American Board of Family Medicine. He is also a member of the American Academy of Family Medicine, the Georgia Academy of Family Practice, and the American Academy of the Aesthetic Medicine. 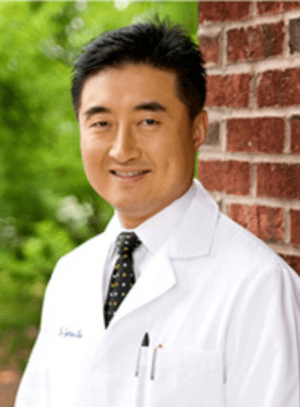 With his practice at Woodstock Family Practice & Urgent Care, Dr. Lee is committed to helping patients of all ages protect, improve, and maintain their health and wellness. He combines his specialized training in the musculoskeletal system and family medicine with state-of-the-art medical technology to provide innovative, customized medical care.